Following the UK Supreme Court’s historic 8:3 ruling on 24 January that an Act of Parliament is needed before Article 50 can be triggered – what due diligence and risk analysis should businesses be undertaking now? Triggering Article 50 needs Parliamentary approval rules the Supreme Court, but what does Brexit mean for you and your business? How will your contracts and their enforceability be affected here and abroad? The Supreme Court has upheld the High Court’s decision that Parliamentary Sovereignty trumps the Government’s reliance on the Royal Prerogative, and Parliament should debate and decide before Article 50 is triggered. The Government says this won’t delay its timetable of serving the Article 50 notice under the Lisbon Treaty by March 2017. How can you ensure your business stays ahead? Whilst some detailed plans can be left until there is greater certainty about post Brexit arrangements, considering the legal implications should be at the forefront of your strategy. A risk analysis should be implemented to ensure businesses get their ducks in a row and identify the effect Brexit will have on their rights and obligations under existing and proposed new contracts and regarding potential litigation. As each business is different, the process should be targeted to your needs. Below we highlight typical practical points which businesses should be addressing now, especially if you trade in the EU or have foreign customers, interests or suppliers. Businesses should already be reviewing their existing contracts, particularly those likely to be in force at the point of Brexit. Where necessary, contractual terms and conditions intended for use from now on should be amended for when the UK ceases to be a EU Member State. Many existing contracts and trading arrangements will be affected, referring to a range of EU laws, regulators and territories. A due diligence exercise should be carried out to identify the key contracts and consider their terms. The need for possible amendments and contingent steps should be considered. Can the contract be varied to mitigate the impact of Brexit? Where the contract price or payments under a contract are made or received in Sterling, Euros, Dollars or fixed to a particular exchange rate, consideration should be given as to whether the currency used is amended to reflect the recent drop in Sterling. Does the governing law clause need amending? Will Brexit result in a breach of contract? Whilst unlikely, can force majeure or material adverse effect clauses be relied upon? How can the contract be future-proofed? The impact of the UK leaving the EU may affect the operation of existing contracts, potentially beyond how the parties might expect. It is unlikely that they will have foreseen or planned for the implications when entering in to the contract. Territorial scope. Does the contract include the EU as its territorial scope? On leaving the EU, the UK won’t be covered by that territorial description. Should the contract be amended, or can the contract be terminated by any party invoking a force majeure or material adverse change clause? Reference to EU legislation. Analyze clauses referring to EU legislation, compliance and any changes. Contracts that refer to EU legislation may need to be amended to deal with the different circumstance. Force majeure provisions. A force majeure clause may be drafted wide enough for a contract to be terminated. For example, if the contract depended on certain EU legislation (e.g. “passporting” under EU financial services legislation), the contract may be frustrated or force majeure might be triggered by Brexit. Material adverse change provisions. Similarly, if a contract includes a “material adverse change” provision (MAC), this may permit termination of the contract, although this will depend on a number of factors. These issues may well result in a dispute, and businesses should consider their existing agreements as to how they maybe impacted. Shorter term contracts. These are less likely to be affected by the UK leaving the EU, due to the two-year negotiating window after Article 50 is triggered. This should give parties some time to consider how the terms of Brexit might affect their longer term contractual arrangements and to renegotiate where necessary. Do your contracts contain provisions which assume that the UK is an EU Member State? This may include references to the EU that are formulated on the assumption that this includes UK, or may be less obvious – e.g. references to rights or obligations arising from specific EU laws which currently apply to the UK. Do your contracts rely on or assume the availability of free movement within the EU, or of any EU level consolidation (such as engaging an EU wide regulatory body)? Prolonged Negotiations. Specific provisions could be considered on prolonged negotiations to implement the exit or the impact of new trade agreements once negotiated. Termination rights. Consider whether to include termination rights in case the new trade agreements will result in an increased burden or negative effects on the intended business transaction. Include notice terms and detailed explanation of the consequences of the right to terminate, and include justifiable Brexit definition and when it can be triggered. Similarly to force majeure provisions, consider whether to include or exclude Brexit from the MAC definition. This depends on the outcome sought. Similar considerations will need to be given to how the Brexit definition is drafted and when it can be triggered. A business may wish to consider the inclusion of its own MAC clause, or even a bespoke Brexit clause. This could provide businesses with flexibility to respond to altered circumstances rather than being tied to expensive or inflexible terms. This would require heightened awareness on the part of businesses to work out the ramifications of such clauses, and to be prepared for counterparties seeking to include them also. EU law continues to apply in the UK. Substantive UK competition law mirrors EU competition law. As such, competition law continues to apply in the UK as it did before the referendum. EU and UK antitrust/competition law has a significant impact on contracts and trading arrangements. Competition law compliance continues to be of prime importance. This will still apply post Brexit, but there will be changes. Transitional provisions are likely for Brexit and the UK’s new trading arrangements with the EU. Businesses should be taking steps now to evaluate the impact of Brexit on competition law as it relates to them. Private competition law litigation (including claims for injunctions and damages) has been increasing in the UK and Europe. It now represents a significant commercial weapon for businesses of whatever size. Brexit raises significant commercial, legal and other issues for businesses. Whilst there may be understandable motives for wanting to discuss this with competitors in various forums, informally or formally, extreme caution should be employed. Confidential commercial information must remain confidential and businesses must avoid offending against anti competition laws. Discussions with competitors should be avoided until advice on competition law is first obtained. As with other types of litigation, the impact of Brexit on competition litigation should be considered when planning strategy. Brexit may impact on litigation affecting your business, including current or prospective cases, such as where jurisdictional issues arise, or when it comes to enforcing a judgment post Brexit. EU legislation governs parties’ choice of which EU member state’s courts has jurisdiction over disputes between them, and the cross-border recognition of judgments of EU member states’ courts. The Court of Justice of the European Union (CJEU) is responsible for the rule of law within the EU. The UK’s right to appear in all cases and to appoint judges to the CJEU will no longer exist when Brexit is implemented. This should not be confused with the European Convention on Human Rights, its council and its court (the ECtHR), which are not affected by Brexit. The European Convention on Human Rights has been incorporated into UK law through the Human Rights Act, and the referendum of 23 June did not involve the UK leaving the Council of Europe either. From the date Brexit takes effect, litigants will no longer be able to appeal cases to the CJEU and UK judges will no longer be required to follow CJEU decisions (although they may decide to do so), but they will continue to follow ECtHR decisions. Litigants are likely no longer to be able to challenge UK legislation on the basis of incompatibility with EU law alone. They would however retain the ability to mount such challenges to the ECtHR based on human rights issues. In other respects, the court system in the UK is likely to remain unchanged, with the UK Supreme Court (formerly the House of Lords) as the final Court of Appeal. Brexit is unlikely to affect the recognition and enforcement of judgments between the UK and EU member states, as the relevant countries are signatories to the Lugano and Brussels Conventions. However, these conventions are more limited than the Brussels Regulation, which currently governs jurisdictional issues between courts of EU member states. Brexit may mean that the UK falls outside the scope of the Brussels Regulation which created a requirement of “judicial comity”. This means that courts relinquish cases if they are already being heard in another EU member state. Without this restriction, the English courts would be able to accept jurisdiction over more cases and, in appropriate cases, could provide anti-suit relief to restrain parties from pursuing proceedings in the courts of other EU member states. The reverse may unfortunately be propounded by the courts of different EU member states depending on how they view jurisdiction clauses. This would potentially result in considerable uncertainty. It is anticipated that whether the “Norwegian Model” or the World Trade Organization “WTO Model” is adopted, courts of EU member states will generally be obliged to recognise a choice of jurisdiction in favour of the English courts. However this remains uncertain. In the absence of any international agreement with the EU, the English courts are still likely to respect provisions in contracts which confer jurisdiction by agreement on the English courts. How such clauses will be treated by EU member states will be a matter for the laws of those member states. That would result in considerable uncertainty, depending on how jurisdiction clauses are viewed by the courts of different EU member states. In some cases, the courts of a counterparty domiciled in another EU member state may be reluctant to cede jurisdiction to the English courts, even if that is what the parties agreed. Parallel proceedings (i.e. where proceedings concerning the same subject matter are commenced in more than one country’s courts) are a risk in commercial disputes, particularly where the parties to a contract are based in different countries. Having to defend a dispute on multiple fronts can be time-consuming and costly. Under current arrangements, if parallel proceedings are brought in the courts of more than one EU member state involving the same or related issues, in general, the courts of the member state first seized of the dispute decide the question of jurisdiction. 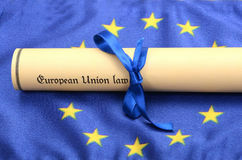 One exception is that the courts of a member state that have jurisdiction under the terms of an exclusive jurisdiction clause can proceed to determine the question of their jurisdiction over the dispute in question, even if parallel proceedings are already under way in the courts of another EU member state. This greatly reduces the risk of parallel proceedings within the EU. If the UK accedes to the 2007 Lugano Convention, this prohibition will remain, but the precedence given to the courts of the country that the parties have agreed should have jurisdiction will not apply. That rule was introduced to the Brussels Regulation from the beginning of 2015 to resolve the so-called “Italian torpedo” problem. This is whereby a party first issues proceedings in a country where the judicial process is relatively slow and complicated so as to delay proceedings, and tie disputes up in jurisdictional battles for years. If the UK does not accede to the 2007 Lugano Convention, there will be no bar on parallel proceedings, provided that the courts in the countries in question are prepared to take jurisdiction over the dispute under their own rules of private international law. For example, at common law, the English courts can take jurisdiction over a dispute where the parties have agreed that the English courts should have non-exclusive jurisdiction and proceedings are pending in a different jurisdiction, on the basis that the parties must have contemplated the possibility of parallel proceedings by agreeing to a non-exclusive jurisdiction clause in the first place. The English courts would also once again be able to issue anti-suit injunctions to prevent proceedings from being brought in other EU member states, something that they are not able to do at the moment because of the effect of the Recast Brussels Regulation (and its predecessors). If the counterparty to a contract is in the jurisdiction (or has appointed an agent for service of process in the jurisdiction), it is quite straightforward to serve English court proceedings on them where a dispute arises. The position is more complex, time-consuming and expensive if proceedings have to be served abroad. Normally under English law, the claimant commencing proceedings must apply to the court for “permission” to serve out of the jurisdiction. The claimant must persuade the English court at the start that it has jurisdiction over the matter. However, there is currently no need to apply for permission to serve out of the jurisdiction if service is to be effected in the EU, and the English courts have jurisdiction under the Recast Brussels Regulation. This provides a clear and relatively predictable basis on which proceedings can be served in the EU without permission. Similarly, EU Service Regulations also set out the procedure and mechanics of effecting service within the EU. A similar exemption for the need to obtain permission to effect service also applies to service within the countries that are party to the 2007 Lugano Convention. However, if the UK were not to accede to the 2007 Lugano Convention when it leaves the EU, it is likely that it would become necessary again to apply for permission to serve English court proceedings within the EU. This would increase the importance in any contract of having an EU based counterparty expressly appoint an agent for service of process in England if the parties have agreed to submit to the jurisdiction of the English courts. If parties have chosen the English courts to hear their disputes and one or more of the parties is based abroad, it is always worthwhile including an agent for service clause in a contract. In the absence of any international agreement on jurisdiction and enforcement, the enforceability of judgments of the English courts within the EU would depend on the laws of each member state. This would result in uncertainty. For example, an English company dealing with a French company would need to take French law advice as to the enforceability of English court judgments in France. Potential enforcement issues may hinder jurisdiction being conferred on the English courts by agreement. There is further uncertainty on judgments of English courts being recognised by courts of member states. Money judgments may be straightforward, but the same may not apply to claims for declarations, accounts and inquiries, specific performance, injunctions and interim relief. The corollary is that the English courts would also no longer automatically recognise and enforce the judgments of the courts of EU member states. This would be a concern for EU based businesses dealing with counterparties based in the UK. Potential difficulties with recognition and enforcement of judgments could affect decisions by businesses as to which courts they elect to have jurisdiction over their disputes. It could also influence how parties decide to pursue dispute resolution, whether via the courts or arbitration, considering the enforcement mechanisms for arbitral awards. 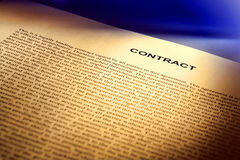 Whilst parties negotiating contracts now can plan ahead for in case a dispute arises (e..g. by appointing an agent for service of process, and thinking carefully about potential enforcement issues), the position is different for litigation that is currently either imminent or under way. It is difficult to see how possible changes to the rules on jurisdiction would affect proceedings being issued today, because such proceedings will need to be issued in accordance with the rules currently in place. As explained above, developments during the negotiation period under the Article 50 process may have an impact on decisions on disputes that arise during the process, for example there may be a particular date by which it will be advantageous to commence proceedings. Alternatively it may become clear e.g. that the UK will accede to the 2007 Lugano Convention. Regarding existing litigation, depending on the circumstances, the fact that the UK will be leaving the EU may buttress reasons to seek judgment as soon as possible, taking advantage of the present recognition and enforcement mechanism in the Recast Brussels Regulation. The impact of Brexit may also be felt indirectly in future, such as on funding for current civil litigation projects in the UK. Funding for the proposed online court may be at risk, depending on economic factors. businesses should strategically review their contracts and Terms and Conditions to see how and to what extent they can be Brexit proofed, and to analyse the threats and opportunities that arise. Issues such as Intellectual Property, Employment Law and Data Protection are amongst further areas for consideration, outside the scope of this piece. The final report follows an extensive series of meetings with judges, practitioners, stakeholders and users of the civil courts, and a series of detailed written and oral submissions after the publication of the review’s interim report in January 2016. The review makes a series of recommendations intended to inform the current programme of wider court modernisation being undertaken by HM Courts and Tribunals Service. It also makes a number of recommendations on different aspects of the civil justice system, such as enforcement of court rulings, the structure of the courts and deployment of judges. A summary of the main point follows. To resolve a perceived access to justice defecit, Briggs LJ recommends introducing an Online Court and the extension of fixed costs. The new court is to have its own set of “user-friendly rules” created by a new cross-jurisdictional rules committee in place of the current Civil Procedure Rules, which will still apply to other cases. Briggs LJ also sets out the appropriate appeals procedure, where permission would apply. Stage 3, the final adjudication, will be made by judges on paper, via a video/telephone hearing or by way of a traditional trial. When implemented it should be dealing with “straightforward” money claims valued at up to £25,000. Despite this initial ceiling of £25,000, he suggests it may “pave the way” for change over “much wider ground” and will eventually become compulsory. It is not envisaged that the Online Court will apply to fast and multi-track personal injury cases, but, as Briggs LJ has previously indicated, it may apply to small claims track cases. Recommendations are made on helping people who need assistance with online systems. Complex and important cases are to be transferred upwards to higher courts. Open justice and transparency issues are to be addressed. Legal advice and expertise would be by way of unbundled solicitors’ services and direct access to barristers. A target date of 2020 has been suggested. The Online Court proposed is to be accessible via smart phones and tablets.To avoid duplication and “a parallel paper path”, Briggs LJ has endorsed the development of Assisted Digital resources and proposes the “digitisation of all the processes” of the civil courts, which will eventually be paperless. Reforms have already been implemented to overcome the chronic workload and backlog of the Court of Appeal. A senior body of court lawyers and other officials who can assist with certain functions currently carried out by judges, such as paperwork and uncontentious matters. To be trained and supervised by judges, and decisions subject to reconsideration by judges on request by a party. To operate independently of government when exercising their functions, transferring some of judges’ more routine and non-contentious work to case officers, under judicial training and supervision. A substantial increase in the minimum claim value threshold for commencing claims in the High Court – initially to £250,000 and subsequently to £500,000. There should be a single court as the default court for the enforcement of the judgments and orders of all the civil courts (including the new Online Court). This should be the County Court, but there would need to be a “permeable membrane” allowing appropriate enforcement issues to be transferred to the High Court, and special provision for the enforcement of arbitration awards, in accordance with current practice and procedure. All enforcement procedures to be digitised, centralised and rationalised. Re-establish a court-based out of hours private mediation service in County Court hearing centres prepared to participate, along the lines of the service which existed prior to the establishment and then termination of the National Mediation Helpline. There should be no general unification of the civil courts (ie combining the High Court and County Court). The time has come for a decision about the future of the High Court’s Divisions, but that is beyond the scope of the current review. The concept of the District Registry as a place for the issue of High Court proceedings will eventually be replaced by a single Portal for the issue of all civil proceedings, and should then be abolished. There should in due course be a review of the question whether the recent reforms to the procedure of the Court of Appeal should be extended to cover appeals to the High Court and to Circuit Judges in the County Court, based upon better time and motion evidence than is currently available, and in the light of experience of the reforms in the Court of Appeal. 11. Boundaries between jurisdictions – the Family Court should be given a shared jurisdiction (with the Chancery Division and the County Court) for dealing with Inheritance Act and disputes about co-ownership of homes. There continues to be a case for convergence between the Employment Tribunal (and Employment Appeal Tribunal) and the civil courts, but the detail is a matter beyond the scope of this review. In Briggs LJ’s view, the new court, if successful, “may pave the way for fundamental changes in the conduct of civil litigation over much wider ground than is currently contemplated by its first stage ambition”. The proposed timing for the launch of the system is April 2020, although Briggs LJ acknowledges that this will represent “a real challenge”. The civil courts have come under increasing strain due to budget cuts and the phenomena of a large rise of litigants in person, the latter unpredicted and itself due to previous reforms and cost cutting exercises. This, combined with the lack of any significant positive track record in computerisation of government services represent significant further challenges, as do the requirement for such changes to be adequately funded and given sufficient Parliamentary and Ministry of Justice attention. The ongoing hikes in court fees and previous termination of funding for Mediation initiatives contrast with the aspiration of increased access to justice and suggested allocation of funds from the Treasury for such a wide-ranging programme of reform.The challenge now lies in effective implementation of Lord Justice Briggs’ recommendations, and avoiding further reductions in access to justice. In O’Hare and another v Coutts & Co  EWHC 2224 (QB) (9 September 2016) the High Court held that the defendant bank had not breached its duty (in contract and in tort) to exercise reasonable skill and care when advising the claimants on making certain investments. Kerr J dismissed the claim in its entirety, although not without considerable sympathy for the claimants, considering that he preferred their evidence where it conflicted with Coutts’. The judge decided that Coutts had not breached its duty (in contract and in tort) to ascertain the claimants’ requirements and objectives and to advise, explain and inform the claimants about investments that were suitable. The judge held that the Bolam test did not apply to the issue of whether the defendant had breached its duty of care when advising the claimants about the investments. Instead, he preferred the approach of the Supreme Court in the Scottish medical negligence case of Montgomery v Lanarkshire Health Board  UKSC 11. The judge focused on what the claimant, as an informed investor would expect to be told. The judge did not adopt the common Bolam Test (see below) i.e. whether the defendant had advised in accordance with a practice accepted as proper by a responsible body of persons skilled in the giving of financial advice. The judge was influenced in his decision by the fact that the expert evidence indicated that there was little consensus in the industry about how to manage the risk appetite of clients. The decision suggests that the giving of investment advice is not simply an exercise of professional skill; an informed investor, like a medical patient, is entitled to decide the risks that he is willing to take and has to take responsibility for his own mistakes. The Bolam test derives from the decision in Bolam v Friern Hospital Management Committee  2 All ER 118 ( www.practicallaw.com/D-016-0979) . In that case it was held that a doctor was not necessarily negligent if he conformed to a practice accepted as proper by some responsible members of his profession, even if other members would have taken a different view. Evidence of an accepted practice must be responsible and reasonable. In other words, provided the doctor explained the risks of a given treatment, to the extent that it accorded with a responsible body of medical opinion, liability would not attach. The Bolam test applies to all professional liability cases. The Bolam test was approved by the House of Lords in Sidaway v Board of Governors of the Bethlem Royal Hospital and the Maudsley Hospital  AC 871. This is only when the medical professional has taken reasonable care to ensure that the patient was aware of the material risks involved in any recommended treatment, and of any reasonable alternative or variant treatments. In the O’Hare’s negligent financial advice claim against Coutts, Kerr J preferred and applied the approach taken in the case of Montgomery, namely the onus is on the patient or client, as an adult with sound mind, to make their own decision about the risks involved. The O’Hares, as informed investors, were entitled to decide the risks that they were prepared to take and accept responsibility if those risks did not pay off. This standard is now likely apply more generally in financial advice claims. A duty can be owed both in contract and in tort and concurrent duties of care are routinely owed by professionals (Henderson v Merrett Syndicates Ltd  UKHL 5 ( www.practicallaw.com/D-000-1263) ). Accordingly, a financial advisor, who fails to exercise reasonable care in providing services to the client who retains him, can render himself liable in contract and in tort, unless tort liability is specifically excluded. The general aim of an award of damages in tort is to put the injured party in the same position as he would have been in if the tort had not occurred. Damages in tort aim to restore the claimant to his pre-incident position. Generally, the purpose of an award of damages for breach of contract is to compensate the injured party. The general rule is that damages are meant to place the claimant in the same position as if the contract had been performed. Damages are usually awarded for expectation loss (loss of a bargain) or reliance loss (wasted expenditure). Not all losses caused (in the factual/ “but for” sense) by a breach of contract or breach of duty are recoverable by the innocent party from the party in breach. Remoteness of damage refers to the principle by which the law determines which consequences caused by the defendant’s breach are within the scope of the defendant’s responsibility and should be brought into account. There is a difference between the principle of remoteness in contract and in tort. In contract, generally, all foreseeable but not unlikely losses are recoverable. In tort, all losses that are reasonably foreseeable as liable to happen, even in the most unusual case, are recoverable. In Wellesley Partners LLP v Withers LLP  EWCA Civ 1146 ( www.practicallaw.com/D-035-2377) , the Court of Appeal held that in cases of concurrent liability in contract and in tort, the narrower principle of remoteness of damage in contract applies. Written evidence at an interim application. Mr Shone, the O’Hares’ main contact and relationship manager did not provide evidence in court. Instead, Coutts relied upon the contemporaneous (attendance) notes written by Mr Shone. Given that Mr Shone was alleged to have persuaded the O’Hares to take a higher risk than they would otherwise have done, the judge had expected to hear direct evidence from the advisor. Although Coutts provided hearsay evidence from other witnesses, which was accepted, the judge concluded that Mr Shone’s testimony was necessary for Coutts to prove its defence. Coutts explained that the reason for Mr Shone’s absence was that he was no longer employed by them and had told the defendant that he was too preoccupied with other business responsibilities to devote time to the current proceedings. Why the witness summons procedure to secure his attendance at trial was not adopted is not examined. Mr Shone’s hearsay evidence was derived from his contemporary notes of various meetings and conversations with the claimants. This evidence was recited in the statements of witnesses called to give oral testimony at trial. 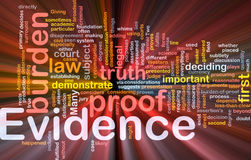 The judge held that the hearsay evidence was admissible and that by setting it out in the statements of its witnesses, the defendant had complied with the requirement in CPR 33.2, that hearsay evidence is to be served in a written statement. It was for the claimants to apply under CPR 33.4 to call Mr Shone for the purpose of cross-examining him on his notes of the various meetings and telephone calls, but they did not do so. Instead, the claimants relied on the fact that Mr O’Hare gave oral evidence at trial and his evidence was in many cases uncontradicted by any other witness at trial. The judge assessed the weight to be given to the evidence by reference to the factors in section 4(1) of the CEA 1995. He concluded that the defendant needed Mr Shone’s testimony to assist its defence and without him, significant parts of the claimants’ account remained uncontradicted, except by notes that were disputed and not defended by their maker. In the circumstances, the judge was not prepared to accept that the notes were to be preferred, or that Mr O’Hare’s evidence contradicting them was to be rejected. In this case Mr O’Hare’s oral evidence at trial, that Mr Shone had used persuasion on the claimants to induce them to take higher risks /that than they otherwise would have done, was accepted by the judge over and above the documentary evidence. He asserted that the judge in Gestmin had not suggested that oral testimony served no purpose. He remained of the view that the general rule (that any fact which needs to be proved by the evidence of witnesses is to be proved at trial, by their oral evidence) still applies. The decision emphasises that undocumented witness evidence can be important. The reliability of contemporaneous documents is generally preferred to uncorroborated recollections, but there are occasions where oral testimony is required to support such documents. The decision is of particular interest because of the approach of the judge to breach of duty. He held that the Bolam test did not apply to the issue of whether the defendant had breached its duty of care when advising the claimants about the investments. Instead, the judge preferred the approach of the Supreme Court in the Scottish medical negligence case of Montgomery v Lanarkshire Health Board  UKSC 11. The judge focused on what the claimant, as an “informed investor”, would expect to be told and not on whether the defendant had advised in accordance with a practice accepted as proper by a responsible body of persons skilled in the giving of financial advice. The judge was clearly influenced in his decision by the fact that the expert evidence in the case indicated that there was little consensus in the industry about how to manage the risk appetite of clients. The decision suggests that the giving of investment advice is not simply an exercise of professional skill; an informed investor, like a medical patient, is entitled to decide the risks that he is willing to take and has to take responsibility for his own mistakes. Finally, the judge’s obiter (non binding) comments are also of interest: that, if the negligence claim had succeeded, he would not have allowed the claimants to benefit from the more generous measure of damages in tort, in circumstances where their concurrent claim in contract was statute-barred.